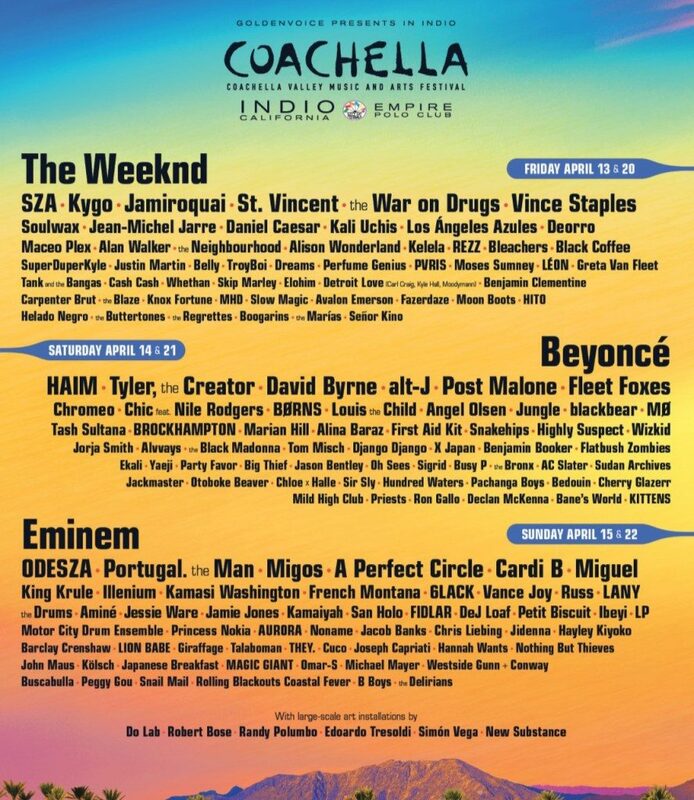 It’s that time of the year again, where the majority of California and the world heads off to the hot desert for two weekends of vibing to good music. 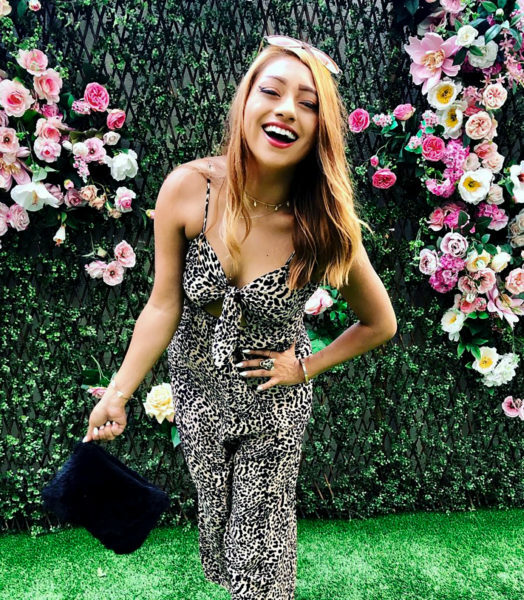 Coachella 2018 is less than a week away and time is running out for you to snag the ideal insta-worthy outfits. Coachella style is typically very boho or vintage with trends typically returning from the previous years, but with a new twist or aesthetic. Two weekends of kickass music, tasty food, hanging with friends, and Palm Springs; what more could a girl ask for? Your Coachella 2018 Style Guide has arrived to help expedite your journey to the desert! 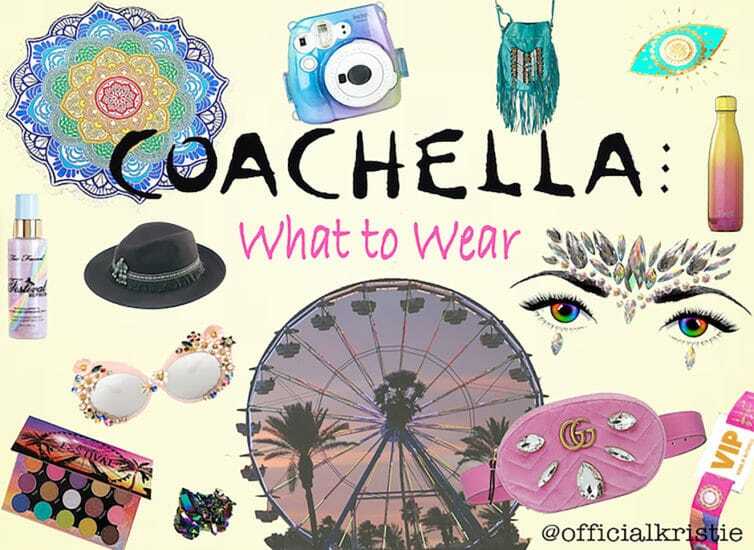 While you shop, don’t forget to listen to our official Coachella playlist down below. PS: I’ll be attending weekend one and I can’t wait to share my photos with you guys, so stay tuned! This cute outfit is inspired by western and retro vibes. You can never go wrong with denim. The silver studs, embellished bag, and white booties give this look a pop. This two-piece boho outfit is so simple, yet effortlessly stylish. It’s accessorized with a dainty layered necklace, tassel earrings, and an anklet. The wedges are ideal for walking in the desert terrain, and the bamboo clutch gives it a final touch. Stand out at Coachella in rose gold and gold accents. The sparkly pants paired with a crochet crop top balance the look by making it festival appropriate and less Studio 54. The gold foil fanny pack and hologram platforms really make this outfit unique. There is nothing wrong with wanting to be a little grunge in the desert. This is one badass look, highlighted by pleather and studs. The tassel bag and coin belt balance the look by keeping it from being too rock n roll. You'll be looking like a true Coachella goddess in this beautiful ensemble. The embellished mesh dress is the real bohemian deal. The look is glamorized by the addition of gold jewelry and a flower crown. Daisy round frame sunglasses further emphasize this look, along with gladiator studded sandals, and a lovey embroidered bag. Outfits are important, but so are the items you keep in your bag while you’re attending the festival. There’s no time for smudged makeup, sunburns, or a dead cell phone. Below is our list of top essentials you should consider bringing to the open desert.